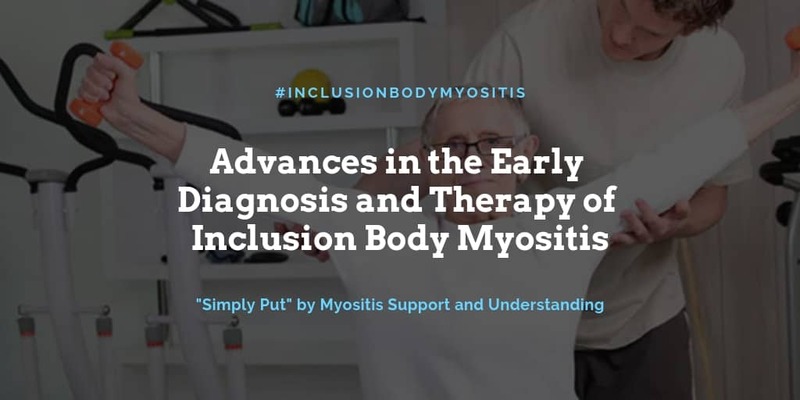 The purpose of this article in Current Opinion in Rheumatology is to describe advancements in the diagnosis of Inclusion Body Myositis (IBM) and therapy for patients with IBM as presented in scientific publications since 2016. 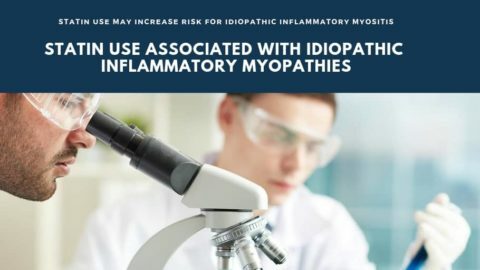 IBM is considered one of the idiopathic inflammatory myopathies (IIM), but is unique because it is resistant to treatment and therapy does not produce lasting benefits. The disease progresses to a point of severe disability from damage to skeletal muscles, particularly those in the forearms and quadriceps, which are eventually replaced with a fatty, fibrous tissue. 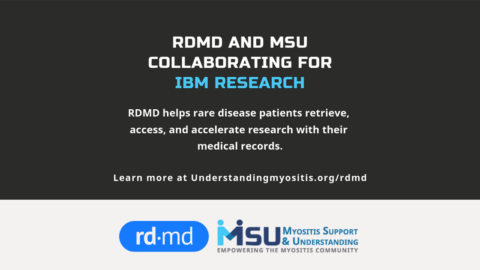 Patients with IBM are often misdiagnosed with other diseases and are given treatments, such as immunosuppressive medications, that will not provide benefits. Patients in the early stages of IBM are often misdiagnosed because the criteria used for diagnosis have been based on later stages of the disease. Patients in the early stages of the disease do not have the same signs as those in the later stages. Additionally, the specific pattern of muscle damage to the forearms and quadriceps continues to be used as a diagnostic tool, which means therapies are likely to be ineffective at that point because the damage has already been done. To further complicate diagnosis, the exact sequence of the disease progression is not universally agreed upon. To improve the diagnostic process, a specific, measurable medical sign, or biomarker, is needed to detect IBM early in the disease process. Early diagnosis could lead to more effective treatment and identification of candidates for clinical trials. Recent advancements in the fields of autoantibodies and imaging technologies may improve the early diagnosis of IBM. Patients in the early stages of IBM are often misdiagnosed because the criteria used for diagnosis have been based on later stages of the disease. Antibodies are cells that are a natural part of the human immune system. They help the immune system to recognize and remove foreign invaders such as unhelpful bacteria and viruses. In people with autoimmune diseases, antibodies turn on the body and are known as autoantibodies. Instead of marking foreign invaders they mark healthy cells for destruction by the immune system. Scientists have identified specific autoantibodies which are only found in people with certain forms of myositis. 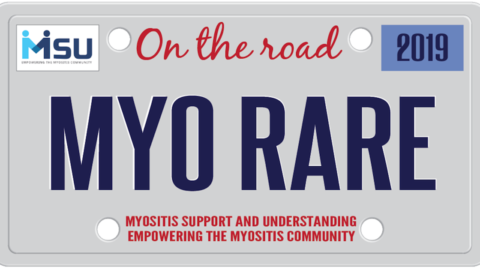 These biomarkers are called Myositis-Specific Autoantibodies (MSA). 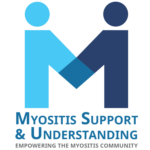 Other autoantibodies may be found in people with myositis, but they may also be found in people with other autoimmune diseases. These biomarkers are called Myositis-Associated Autoantibodies (MAA). In 2013, several papers were published that brought attention to anti-cN-1A, also called NT5C1A, autoantibodies in IBM. More recently, researchers have shown that NT5C1A is an associated autoantibody for IBM, and not a specific autoantibody, meaning its presence alone does not diagnose IBM. But, NT5C1A is able to differentiate IBM from polymyositis, which means it could be used to help diagnose IBM early, prior to the emergence of the classic pattern of IBM muscle damage. Another benefit of the NT5C1A autoantibody that has been identified in recent research is that it has provided some information about the pathogenesis, or mechanisms and sequence of events, of IBM (although whether NT5C1A plays a direct role is not yet determined). These findings could eventually contribute to universal agreement of the pathogenesis of IBM within the medical community, leading to earlier and more accurate diagnosis. Significantly, NT5C1A is also useful as an indicator of the severity of IBM. Patient groups with NT5C1A have been identified as having more severe forms of the disease. This knowledge could help distinguish between outcomes for NT5C1A-positive patients and other patients in areas of treatment response and disease progression. For example, researchers recently found the presence of NT5C1A in 27% of juvenile myositis patients (not just IBM patients) as compared to 12% of healthy children. And, as compared to NT5C1A-negative juvenile myositis patients, those with NT5C1A had more severe symptoms including pulmonary symptoms, more frequent hospitalizations, and the need for more medications. Finally, as recognition of the significance of NT5C1A in IBM increases, there is a need for consistent, reliable methods of detecting the presence of NT5C1A. A recent study both identified a method of reliable NT5C1A detection and examined the role of NT5C1A in IBM. The results suggest that NT5C1A may play a direct role in the muscle fiber degradation associated with IBM. Recent advancements in the fields of autoantibodies and imaging technologies may improve the early diagnosis of IBM. Magnetic Resonance Imaging (MRI) and ultrasound are frequently being used in the diagnosis of patients with muscle disease. MRI uses a magnetic field and radio waves to create detailed images of organs and tissues in the body, and are typically conducted in large, tube-shaped magnets. Muscle MRI images are high resolution and can show the replacement of muscle with fatty, fibrous tissue in IBM patients. Although the use of MRI in IBM diagnosis is common, and results of several recent studies showed the characteristic pattern of muscle damage, it is not yet useful as a biomarker by itself. One study was able to show some correlation between the amount of fat accumulation in the muscle tissue and measures of muscle strength. But, other forms of myositis also include the replacement of muscle with fatty tissue and the analysis of MRI images is mostly done by subjective scoring of the muscle damage using different grading techniques that complicate comparisons. However, quantitative, automated analysis techniques are becoming more prevalent, which may help increase the usefulness of the MRI as a diagnostic tool. 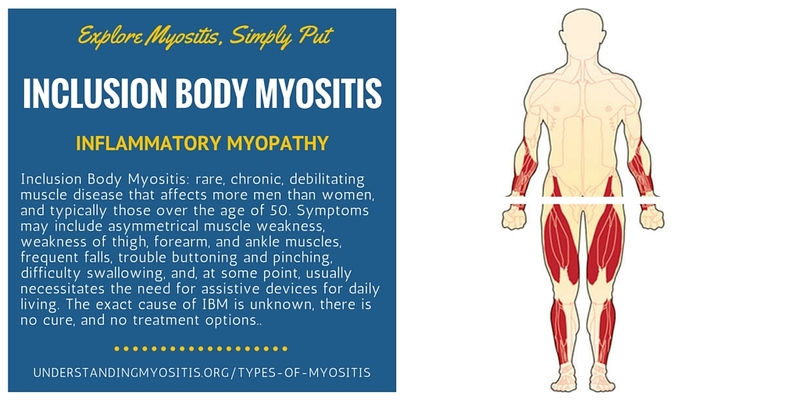 NT5C1A is able to differentiate IBM from polymyositis, which means it could be used to help diagnose IBM early, prior to the emergence of the classic pattern of IBM muscle damage. One such study used quantitative MRI techniques to show reliable and accurate disease progression, and strong correlation to conventional functional measures, such as strength tests and quality of life reporting. This type of biomarker is extremely useful in clinical trials to be able to measure sensitive changes to therapies over time. Further study is needed to be able to apply such techniques across different MRI machines and analytical techniques with consistency. Another study used a real-time MRI technique to examine dysphagia, or difficulty swallowing, in IBM patients. The MRI approach was compared to the more common technique of using a flexible endoscope (an illuminated optical tube) and an X-ray of swallowing function called videoflouroscopy. Potential benefits of the MRI technique include high-resolution images and the avoidance of exposure to radiation. However, patients with claustrophobia or implanted metal may not be tolerant of the MRI approach. Ultrasound is being used more frequently in IBM diagnosis and is typically more accessible and easier to administer than MRI. Ultrasound uses sound waves to produce images of the inside of the body. Ultrasound has been used to show muscle abnormalities in IBM patients, such as increased echointensity (in other words, the amount of reflection based on the composition of the muscle) in muscles with increased fatty, fibrous tissue. Another study used ultrasound to measure the elasticity of muscle tissue, known as shear wave elastography, correlated with measures of strength in patients with IBM. As with MRI, ultrasound analysis is subjective. Additionally, when administering ultrasound tests, the tester has subjective control over placement of the probe. Recently, technological approaches have been used to overcome these limitations in ultrasound. One study used a fully automated “deep convolutional neural network” approach to correctly distinguish IBM from polymyositis and dermatomyositis with an accuracy of 75%. Deep convolutional neural networks are often used for visual processing tasks and use a complex, multi-layer computer architecture to extract features, analyze patterns and classify images. Further advancements in such techniques will contribute to increased success in the early diagnosis of IBM. Pharmacological (drug) treatment of IBM has recently been more focused on the mechanisms that cause damage rather than on the immune system itself. One recent study by Novartis using its “breakthrough” drug bimagrumab failed to achieve its end goal of change in a 6-minute walking distance test (6MWD). The drug is designed to inhibit myostatin, a protein that inhibits muscle cell growth, which would potentially enable muscle to build and fight wasting. Another study used Arimoclomol, a drug that activates a heat shock response in muscle cells which promotes stabilization of cells damaged by stress. This double-blind, placebo-controlled study showed promising results for IBM patients. Rapamycin, a drug that has immunosuppressant effects and could restore protein degradation in IBM patients, was used in a French study with 44 IBM patients. Half of the patients received oral Rapamycin and half received a placebo over a 12-month period. The primary endpoint of the study was quadricep strength and no differences were identified between the two groups. But significantly less fatty replacement in the muscles of the quadriceps and hamstrings, improvements in the 6MWD test, improvements in IBM strength tests, and increased forced vital capacity (total amount of air exhaled) were found. A study using Follistatin, another inhibitor of myostatin, has been controversial. Six patients with IBM were injected with Follistatin gene therapy in the quadriceps and results were compared with a control group (untreated) of eight IBM patients. The results reported by the study authors included improvement in the 6MWD and decreased fibrosis (thickening and scarring) and regeneration of muscles as shown in muscle biopsies. Other researchers have critiqued the study design because the treated patients also participated in exercise therapy, the outcome measure was invalidated and created after the study was completed, and the study was not randomized, meaning the participants were not randomly assigned to groups. Further research is needed to reproduce the results. Other research has continued to investigate immune treatments. Immunotherapy is treatment of disease by either activating or suppressing the body’s own immune system. 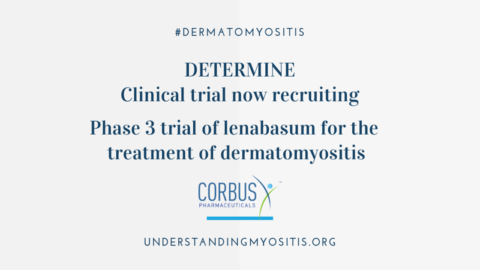 One study in this category conducted additional analysis of a previous study using Alemtuzumab in IBM patients, a drug often used to treat chronic lymphocytic leukemia, T-cell lymphoma and multiple sclerosis. Using muscle biopsies obtained both before and after treatment in the previous study, the authors examined differences in biomarkers of inflammation and degeneration. While some markers correlated with positive results from the therapy, other important markers did not change significantly. The authors suggest that these results may explain why the positive outcomes were temporary. Interestingly, one additional study found that 58% of IBM patients were found to have clonal lymphocyte expansion associated with large, granular lymphocytic leukemia. Clonal lymphocyte expansion is a response from the adaptive immune system that that explosively increases the number of lymphocytes (B cells and T cells) in response to a foreign invader, in this case, leukemia. Some of these cells then remain as memory cells that facilitate a more rapid and greater response to subsequent exposure by that invader. This finding may have implications for understanding the development of IBM. Dysphagia, or difficulty swallowing, has been treated using botulinum toxin injections in IBM patients in Europe. In one study, 12 IBM patients who had received botulinum toxin injections in the upper esophageal sphincter (UES) muscle (a circular muscle that opens and closes the food pipe) had decreased aspirations and aspiration pneumonia rates. In another study, four IBM patients received rehabilitation treatment combined with botulinum toxin injections to the UES. Three of the four patients were observed to benefit from the approach. These observational studies are encouraging, but more robust research will be needed to identify the best ways to treat dysphagia in IBM patients. Therapy for IBM patients will likely increasingly include exercise as an integral part of the treatment program. The authors state without reservation that physical exertion is safe and should not be avoided by myositis patients. And, studies have shown that physical activity is correlated with a reduction in indicators of inflammation suggesting that the activity may activate anti-inflammatory systems in the body. In a study of eight patients with polymyositis and dermatomyositis, a seven-week resistance exercise program resulted in increased muscle strength, reduced enzyme levels, and improved disease activity scores. Additionally, gene expression profiling (which measures thousands of genes simultaneously to develop a broad view of cellular function) showed reductions in inflammatory and fibrotic expression as compared to before the exercise program. 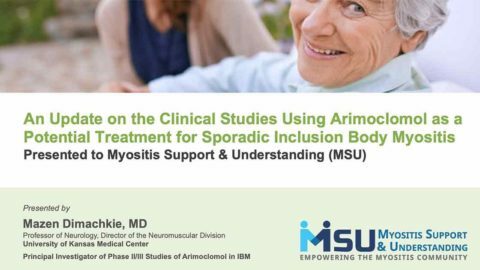 Promoting exercise for myositis patients is helpful, but broad, which makes it difficult to determine what specifically would be helpful for IBM patients. Some studies have explored the use of blood flow restricted exercise on IBM patients. Blood flow restricted exercise involves the use of bands placed around limbs during exercise to maintain arterial flow to the muscle while preventing return of blood through the veins. One study consisted of a 12-week randomized controlled trial of blood flow restricted training as compared to non-exercise in 22 IBM patients. Although the study results did not show change in the primary measure, there were increases in leg muscle strength in the blood flow restricted exercise group. Therapy for IBM patients will likely increasingly include exercise as an integral part of the treatment program. Recent developments in the diagnosis and treatment of IBM hold promise for the reality of effective disease strategies for IBM. It is important for medical professionals and patients involved in IBM to continue to identify and participate in clinical trials and research studies that further the development of these strategies.